If you've been itching to rock an Apple Watch but haven't been able to because the darn thing doesn't fit on your wrist, then fear not, salvation is here. Apple has released more bracelet and band options for the Apple Watch, allowing those with chunky wrists to comfortably wear the iPhone-compatible smartwatch. Amongst the accessories is a new link bracelet kit that offers six additional links for wrists larger than 205mm around. As the Watch opens with the click of a button, wearers will be able to install the new links without the need for special tools. Easy-peasy. It will set you back £39/$49, which is the same price as a normal band. Apple has also released (via SlashGear) a pair of new Watch Sport bands for protein-chugging gym rats who need more breathing room for their wrists. As well as the S/M and M/L bands Apple is now selling an L/XL band (140-210 mm) and an XL band for those with 160-245 mm wrists. They also cost £39/$4, but there's two in the pack. If you're fixated on colour-matching your gym clothes then you may be disappointed as the range is limited to just black and white right now. Still, the new band options are good news for owners who require a tailored fit. It certainly beats waiting around for the Apple Watch 2 to come out. 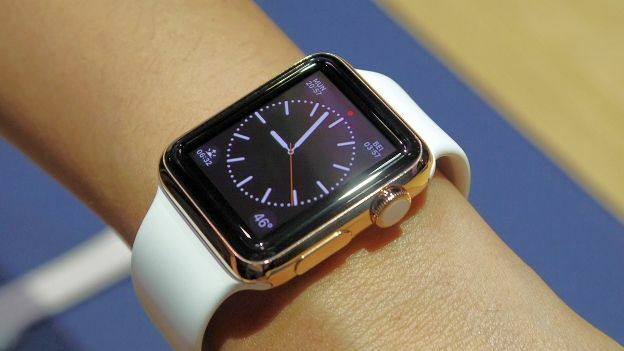 How have you been getting on with your Apple Watch? Are you flying the flag or do you prefer Android Wear's range? Share your thoughts in the comments or hit us up on Facebook.